This event is designed to tackle the most important challenges facing the Congenital Disorders of Glycosylation (CDG) community! Hence, this year we want to try something new! The keynotes will be followed by Think Tanks were all the attendants will be able to discuss and comment what they have learned. Join us at the WCCDG in Lisbon, 2019! 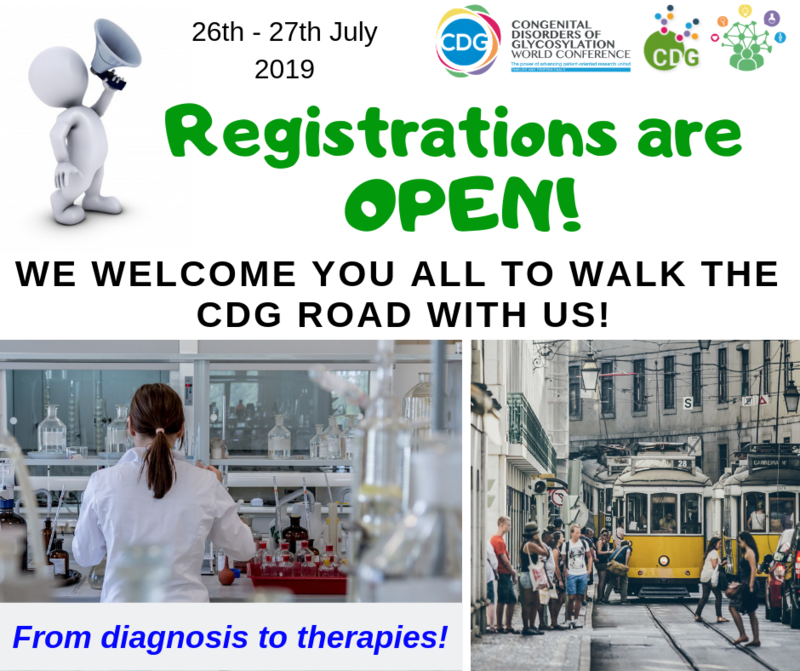 It is with great pleasure that we invite you to the "4th World Conference on CDG - The CDG road: from diagnosis to therapies" planned to be held in Lisbon, Portugal - 26th and 27th July 2019. 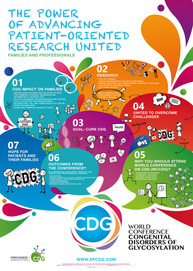 The Scientific-Medical and Family steering committees are sure that this unique event will be unforgettable and look forward to welcoming you to this Fourth World CDG conference. The preliminary agenda is available! For next year’s conference we have focused on the several steps that lead to therapies: diagnosis, pre-clinical research, clinical trials and management therapies that are already available for the CDG Community. This is a diverse agenda which intends to bring together all the important stakeholders: Patients and Families, Researchers and Medical professionals and Pharmaceutical companies. 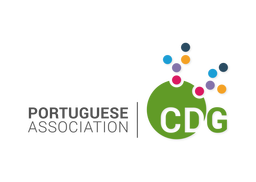 In the name of the Portuguese CDG and Other Metabolic Rare Disorders Association (APCDG) we welcome all the CDG Community to participate in the 4th World Conference on Congenital Disorders of Glycosylation (CDG) for Families and Professionals ““The CDG road: from diagnosis to therapies”! Download the Conference Booklet to have all information regarding the Conference, venue, accommodation and preliminary agenda! The WCCDG final dates are out! The registrations for the WCCDG are open! The 4th World Conference on CDG will be held at the Auditorium Pf Simões dos Santos at Faculty of Dental Medicine of the University of Lisbon, Cidade Universitária, 1649-003, Lisbon. Information about the 4th World Conference on CDG on 26-27th July 2019 in Lisbon (Portugal), will be available shortly! In this year's edition we will have posters! 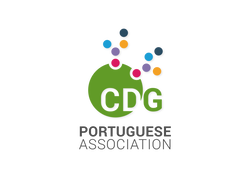 We want to attract young researchers and have them present their work in the CDG field. If you would like to submit you poster abstract go HERE! And made possible by the CDG families and professionals community worldwide. 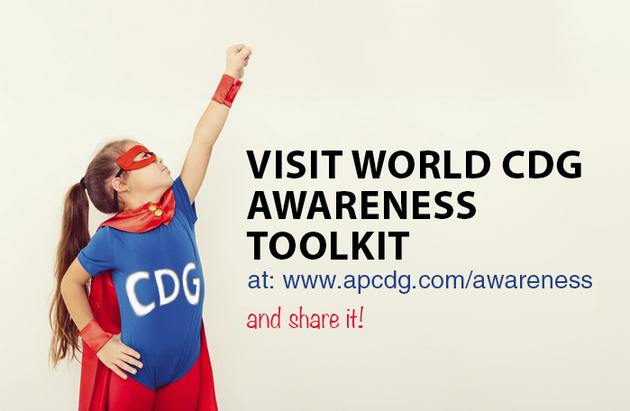 To know more about the CDG patient associations and patients advocates around the world go HERE. with the endorsement of Portuguese Society for Metabolic Disorders (SPDM) and the Society for the Study of Inborn Errors of Metabolism (SSIEM) - know more HERE and HERE. 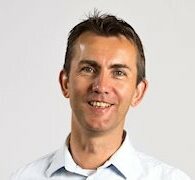 Want to be part of this unique event? You can donate a little bit of your time and register as a volunteer HERE! Online Registrations will be open from 28th February to 30th June 2019 for FAMILIES! Online Registrations will be open from 28th February to 16th May 2019 for PROFESSIONALS! You can find the registration forms for FAMILIES and PROFESSIONALS HERE! Join us on Facebook and be updated on the "4th World Conference on CDG - The CDG road: from diagnosis to therapies" will be held in Lisbon, Portugal - 26 and 27 July 2019.